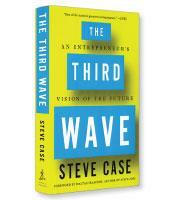 If the title of AOL founder Steve Case’s book, The Third Wave, sounds eerily familiar, it is no accident. Case remembers reading futurist Alvin Toffler’s book of the same name in college and wanted to be part of Toffler’s “electronic global village.” And he was. The term AOL seems very old-school today — and Case explains what happened further in the book — but there was a time when the company he founded, based on the concept of provided services via the Internet, was a pillar of the information age — or more specifically what he calls the “First Wave” of the information age. The First Wave of the Internet, writes Case, “was about building the infrastructure and foundation for an online world.” It was led by companies such as Cisco, Sprint, HP, Sun Microsystems, Microsoft, Apple, IBM and AOL, who created the hardware, software and networks that connected people to the Internet and to each other. Once everyone was online, the Second Wave kicked in. We are still in this Second Wave, the era of the information age, when companies, Case explains, built “on top” of the Internet. 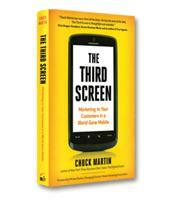 Think Google, eBay, Amazon, Twitter and even the iPhone. Society often advances in linear fashion so that the present era moves forward from the past, and the future moves forward from the present. In some ways, however, the Third Wave represents a return to the world of the First Wave — not in outcomes but in means. In other words, success in the Third Wave will depend in large part on the success factors of the First Wave, including a heavy reliance on collaboration and partnership, careful attention to policy and the courage to scale high barriers to entry. Building the infrastructure in the First Wave was capital-intensive, and the same investment partnerships will be required to redraw a nation’s healthcare system or other components of our society. The Second Wave was different; it was the era when billion dollar companies could be built by a few tech-savvy friends with a computer and a good idea (example: make it easier to search the Internet). The barriers to entry were low, as were the required up-front investment. There still may be some best-selling apps on the horizon, but good luck launching another Twitter or Facebook from your dorm room. At the same time, Case recognizes the challenge of dealing with slow-moving government bureaucracies. The bottom line for Case is that the government is not the enemy of Internet entrepreneurs, but it can be an infuriating friend. The Third Wave is an interesting combination of manifesto and memoir. Case covers in detail his history and the history of AOL, including the disastrous Time Warner-AOL merger that in essence pulled the plug on the company. Today, Case is a venture capitalist focused on Internet opportunities. One hopes that the Third Wave not only brings the world forward as he describes, through technology and innovation, but that the moderation, optimism and championing of collaboration rather than witch-hunting that fill his book also triumphs in the years before us.